Minister for Manufacturing David Hodgett met with Thales Global Chairman and CEO during his visit to the company’s Bendigo facility to discuss Coalition Government support for defence manufacturing in Victoria. Speaking in front of the crowds at the Bendigo facility, Minister Hodgett promoted the unique capabilities of Victoria’s defence industry and commended the defence contractor for its contribution to the state’s economy. “The Bendigo facility of Thales Australia is the company’s foremost centre in Australia for the world-class design, manufacture and support of specialist protected mobility vehicles and makes an important contribution to Victoria’s important defence industry. Thales Australia employs approximately 350 Victorians across the state, including 200 people at its Bendigo facility, where it has manufactured its successful Bushmaster vehicles since 2004,” Mr Hodgett said. Mr Hodgett met with Global Chairman and CEO of the Thales Group, Mr Jean Bernard-Levy and Thales Australia CEO, Chris Jenkins, to reaffirm the Victorian Coalition Government’s support for the significant defence projects Thales delivers across regional and metropolitan Victoria and for its local supply chain to secure the contract to supply the Hawkei to the Australian Defence Force. 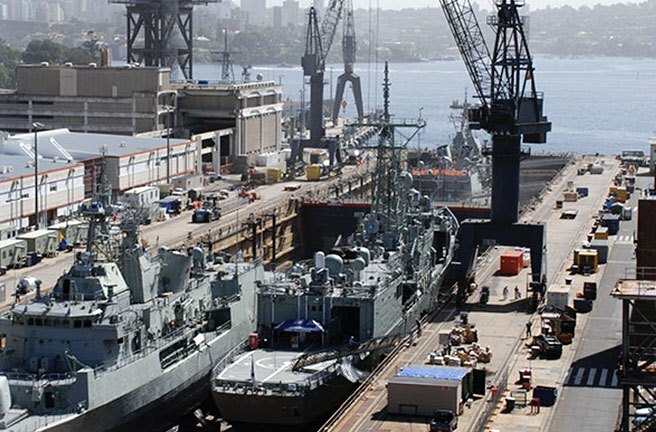 “Victorian-based companies like Thales Australia contribute significantly to Victoria’s world class defence industry, which generates substantial jobs, exports and economic growth for the state, and drives innovation across the wider manufacturing sector,” Mr Hodgett said. Mr Hodgett said Bendigo’s thriving defence industry generated significant benefits for the local community and for Victoria’s economy. “The Bendigo-based Australian Defence Apparel recently won the first LAND 125 Phase 3B contract, which will enable more than 20,000 ADF personnel to benefit from new personal load carrying equipment,” Mr Hodgett said. 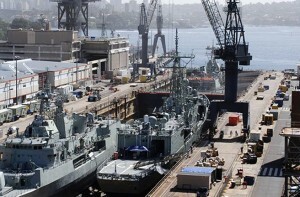 He said the Napthine Government was determined to see Victorian defence industry secure a fair share of Australian defence contracts and seize global opportunities. “A statewide network of Victorian Government Business Offices and 17 active international Business Offices provide on-ground global markets,” Mr Hodgett said.